Just because we might look mature, it is no excuse to neglect your skin. The Liquid Skin Care (Lqd®) range of prestige men’s skincare products is enjoying unprecedented success both in Australia and internationally, rapidly becoming a leading player in the massive $US33 billion men’s grooming category and leaving some of the more established brands in their wake. Lqd initially launched on-line in 2012, with awareness quickly spreading via social media. The brand’s global distribution is now growing through strategically selected retail partnerships, both in Australia and abroad. Lqd is now available in some of the world’s most prestigious retailers including Bloomingdale’s (USA), David Jones and Sephora (AUS), and currently in Harrods (UK), the world’s most famous department store. Lqd continues to service customers internationally through their own website, which accounts for over 90% of their sales. In 2017 Lqd is set to again double its turnover from the previous year, while expanding to over 50 staff around the globe. Melbourne-based founders and life partners Anthony McDonough and Chris Glebatsas are the living, breathing embodiment of the brand, impressive physical ambassadors who both embrace a holistic lifestyle philosophy built around three pillars: Diet, Training and Skincare. Their messaging and marketing of the brand via Facebook and social media immediately resonated with the LGBT community and Lqd gained a glowing reputation for its efficacy & effectiveness. ​​Products are designed to deliver results: to cleanse, moisturize, soothe, brighten and hydrate aging skin. These benefits naturally extend to all male customers who care about they look, and Lqd has now built a loyal following across the fitness focussed community. It is not merely women’s skincare, repacked and marketed to men. These products, using the best of science and nature, are developed directly for the male customer and his specific skincare needs. Active guys need Active ingredients. It’s not only what’s in the formula – it’s what we left out. Anti-irritants, anti-oxidants, anti-inflammatory, anti-aging peptides are just some of the active ingredients you’ll find in Lqd products. And you’ll find them at maximum levels for maximum performance and efficacy. In producing cosmeceutical level skincare, McDonough explains “It’s not just what’s in the product that counts, it’s also what’s left out – ingredients that are known skin irritants like essential oils, sulphates, parabens, phthalates, menthol, colourings and fragrances”. Healthy skin is related to work/life balance. Glebatsas is also the chiselled face of the brand, a former investment banker whose near- deadly brush with meningococcal meningitis in 2008 resulted in a passionate pursuit of work/life balance. Lqd is a reflection of this goal; a brand that tells it like it is and educates men about skincare, with integrity and authenticity. The two are in complete agreement that when it comes to achieving clean, youthful looking skin, there are a few elements in play. “Great skin is as much about what you put into your body as what you put on your skin. The key to looking the best you can is eating a healthy diet, drinking lots of water, training hard: high intensity and resistance training will keep your testosterone levels higher, and using good quality skincare.” says McDonough. McDonough and Glabatsas are certainly Lqd’s greatest advertisement, drawing on their combined business, sports and science acumen to create a new product line for men that has swiftly become a bathroom staple. Lqd is carried in David Jones and Sephora (AUS), Bloomingdales (USA). Harrods (UK). Available online at www.Lqd.com.au Global shipping available. 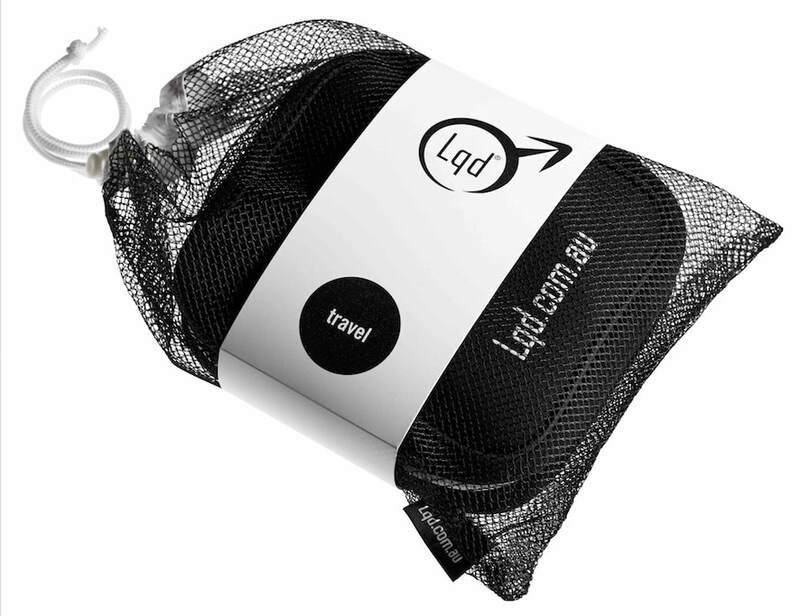 Lqd products RRP from $35 to $260.